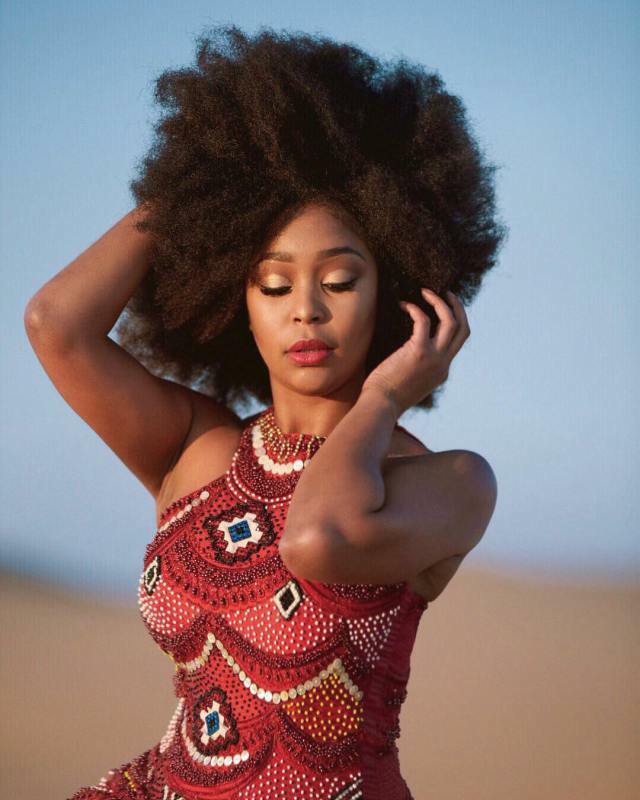 Television character Minnie Dlamini held onto her bends as she took to the desert in Namibia for a provocative photo shoot. 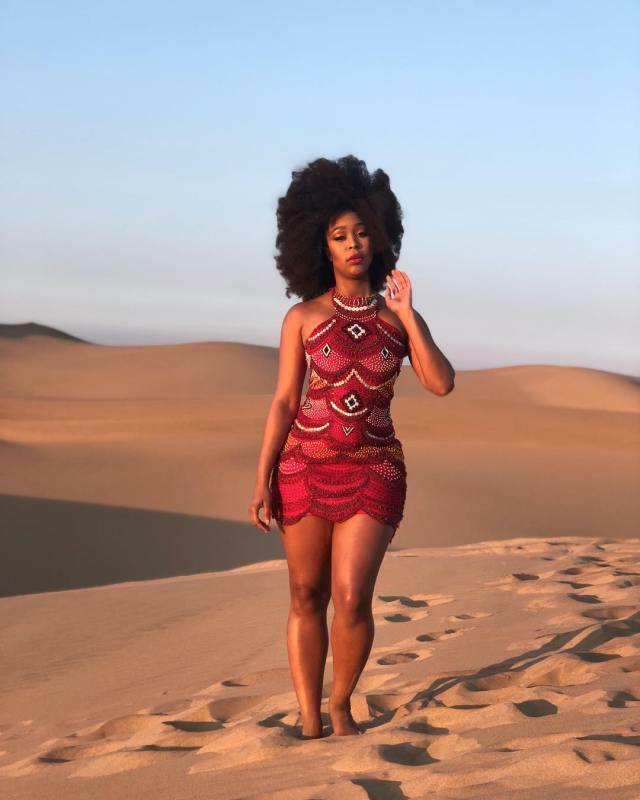 Spreading the message of body energy, Minnie urged fans to love themselves, while in the meantime swatting down those troublesome pregnancy bits of gossip. “No matter your size, shape (or pregnancy rumours) love your body, celebrate it! (sic),” she captioned a picture of herself in a red dress. 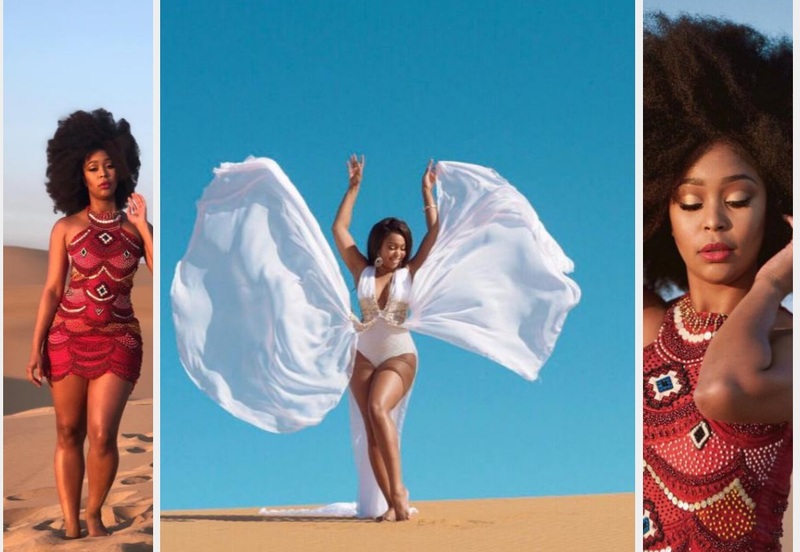 Minnie joins a series of big names who have been vocal about their weight pick up and handling issues, for example, body-disgracing. The considerable rundown incorporates Beyoncé, who transparently discusses her "little mom pocket" in the September issue of Vogue. The moderator likewise shared snaps of herself in a streaming white dress with gold detail.